Kaya Fashion blog - Find out latest fashion trends and tips with kaya. Learn how to be trendy without breaking your bank. Find out latest fashion trends and tips with kaya. Learn how to be trendy without breaking your bank. I read an article one time that said that one of the keys to leading a peaceful and happy life was to consciously make an effort to keep things to a minimum. That basically follows the old principle of less is more. I live a very hectic life myself, so I really took that article seriously. I began looking at my own situation to which aspects of my life could be simplified or minimized. There certainly were many! So many people find it a lot easier acquiring things than getting rid of them, and it is often by choice. That is why it really is challenging for me to try to live with less. But to get a jump start, I decided I would get started with my closet. I’m sure most women would agree that their closets have years worth of hoarded clothing in them, including ones that haven’t been worn for months or even years. I suppose you could call me plain Jane or boring, but white shirts really are one of the most versatile types of clothing that have ever been made. A plain white shirt can be worm many times in the same week and be styled in various ways. There is a good chance that your peers won’t even notice that you are repeating wearing the same shirt. Another thing is that white tees are very comfortable and look very clean on everyone. When you are wearing a white shirt, you don’t never need t worry that you are over accessorized. Ever since Kate Middleton was seen rocking a stripe blouse that was paired with flat shoes and denims, I have been constantly looking to find a good striped tee to wear also. I was able to find the perfect ones at Milktee, which is an online shop specializing in stylish yet simple apparel. Stripe shirts are fortunately leading the top collection, so it wasn’t difficult to find one for me right away. There are other women’s blouses and tops in the Milktee collection that have easily made it onto my fashion staple list. Another thing that is really great about stripe shirts is that they are attractive without being flashy like other prints such as geometric and florals. They fit in just about any season, whereas floral prints are much more restricted to specific trends. My Milktee stripe tees have almost been overused from my closet. However, although we have been discussing going minimalist, I am still going to three of my most favorite stripe tees for my closet. For working women who aren’t especially fond of corporate dresses and tailored suits, a button down shirt can definitely be your best friend. It has a formal enough appearance so that you can wear it to the office, but it can be a casual piece as well for running some quick errands even when you aren’t working. You can pair the shirt with a A-type skirt to power it up, or dress it down with sneakers and denim pants. It’s very important that the button downs you choose are made out of good fabric and that they are comfortable, no matter what type of weather it is. I made another Milktee discovery. In addition to having comfortable and affordable Milktee shirts, the company also offers great cover ups that pair well with their tops. The cover ups are very reliable pieces of clothing if you would like to create various styles for your casual outfits. For example, you can easily power-up a pants and white shirt outfit with a cardigan blazer. It is also more comfortable to wear than an actual blazer. Currently my cover up staples include a black cardigan blazer, denim jacket and bright red cardigan. Highly function and nothing fancy at all. Fashion staples are just those favorite items of clothing that you can wear in many different ways. They always will deserve their own space inside of our closets. Feel free to visit http://www.milktee.nu and their Facebook Page for the latest trends. Are you bored with the clothes in your closet? Luckily, the season is getting ready to change, which makes it the perfect time to update your wardrobe with the latest Muslimah blouses and dresses. Today’s fashion world is turning toward skimpier outfits; however, that does not mean a Muslim woman cannot look fashionable in her modest attire. Continue reading to learn how to incorporate new, colorful items into your wardrobe. You can dress stylishly and appropriately thanks to the diverse amount of fashion shops now carrying Muslimah blouses online. The latest designs can help ensure that your closet will be the envy of all of your friends. Dressing fashionably does cost a lot of money. There are many wonderful options featuring the latest in breathable material for the Muslim woman. Because of the Muslimah design of dresses, breathable fabrics are a must. Here are some great tips to help you stay fashionable and looking amazing in your Muslimah blouses and dresses. These items use the latest fashion techniques to keep you fashionable and looking your best. Pops of colors are in. Try adding bright colors to your wardrobe with a few signature pieces. These colorful pieces will work nicely with the brown and black pieces you already have hanging in your closet. Adding one or two bright pieces of clothing can make your entire wardrobe stand out. The top colors for this year are shades of orange and purple. However, any color can set your apart from the crowd and have you looking amazing. There are many wonderful prints available for the Muslim woman. However, wearing too many prints together is a fashion disaster. Instead, wear one printed item and neutralize it with solid colors in the remaining pieces of your wardrobe. Combining prints with solids is not difficult. All you need to do is pick a neutral color out of the print and wear that color as the remaining pieces of your outfit. Accessories is a great way to make your entire outfit look more stylish and add a pop of color. There are numerous accessories that you can incorporate into your outfit, including brooches, arm jewels, crystal rings, earrings and Hijab pins. Wear one accessory to help you avoid over-accessorizing your outfit. Additionally, wearing a piece of jewelry that contains the color of your print or colorful piece will help pull the outfit together. The best way to save money is to combine some of your favorites with a few new pieces. Think of the items in your closet when determining which items to buy. Choose a colorful shawl that will coordinate with the clothing items already in your closet. Choosing a few neutral accessories is another great way to incorporate new items into your wardrobe. Staying modest and fashionable does not need to cost you a fortune. You just need to shop wisely by finding a supplier that offers bargains on Muslimah dresses, abayas and blouses. Combine a few new pieces with the pieces already in your closet to create a new wardrobe on a small budget. Malaysia is one of the most beautiful countries. Its tasty food and its pristine beaches attract millions of tourists every year. While many of them come prepared with everything they need for spending a good holiday, others come unprepared and try to buy things locally. Traveling with a baby can be a demanding job. You have to take so many things with you, so it’s not unusual to forget taking just everything the little one needs. When you are so busy with packing your bags, it often happens to forget about the baby’s swimming suit. Luckily, this is not an issue, at least in this corner of the world. You can find lots of shops selling baby swimwear in Malaysia, so you can buy it there and save some room in your luggage for other things. If you need to buy a baby swimsuit while in Malaysia, you can find some cool ones in those little shops by the beach, in all touristic areas. Just go there and take a look at all models. Find one that’s vividly colored and comfortable. Ideally, it should be made from a thin fabrics that would dry very fast. This is important especially if you intend to allow your baby dry naturally after getting out of the water. If you change your baby in dry clothes, this detail is less important. However, by buying a high quality swimwear you decrease the risk of skin irritations and eczema. You need to make sure your little one is comfortable and the suit doesn’t rub or hurt him. 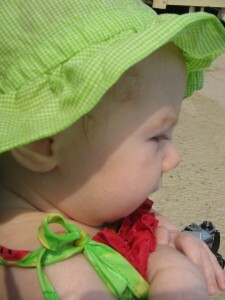 Babies have such a fragile and delicate skin that it’s very easy to hurt it. Adults aren’t that sensitive, so you shouldn’t image that what’s good enough for you would be perfect for your child as well. You need to consider their fragility and choose what’s best for them. This is how you can avoid health problems, so don’t try to save money by buying the cheapest baby swimwear you can find. Malaysia is famous for its beaches. It’s also a relatively inexpensive country. This means you can find goods for all pockets and preferences. You may discover swimwear that costs less than one loaf or bread, but also models that cost as much as a fancy pair of shoes. When doing your research, you have to guide yourself by quality rather than by price. The most important thing is that your baby’s skin is well protected. Otherwise, you may need to spend a lot of time in medical clinics, trying to find a cure for your baby’s skin problems. In addition, you may also spend a lot of money on doctors and medical treatments. All these can be easily avoided by taking all cautionary measures in the first place. 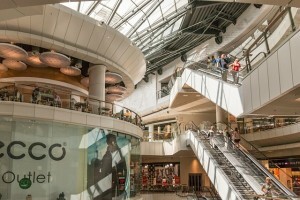 Buy clothes only from trustworthy shops, avoid cheap fabrics and dirty looking booths, and you are going to have the best holiday in Malaysia. Be smart when you do your shopping, especially when a baby is involved. 1. The size of the bag varies. You should select the size of your bag based upon what you want to carry around in it. Laptop computers and documents are easily held by most briefcases that are standard sized. Choose a bag that is larger to better fit your work if you handle papers that are outsized such as blueprints when you require them for your job. However, a standard size does work well for most people. 2. Select your bag for durability. Your briefcase should not only be attractive, it should also be durable and able to stand up to wear and tear. In general, bags made of leather stand up to daily use and remain looking good. However, there is more than just the material to be considered. The way the bag is constructed will make a difference. Look for high quality leather in the corners, latches, and seams. You will get more out of the investment you have made in your bag when it is made to last for a long time. 3. The bag should have classic style. There are traditional and modern briefcases available. 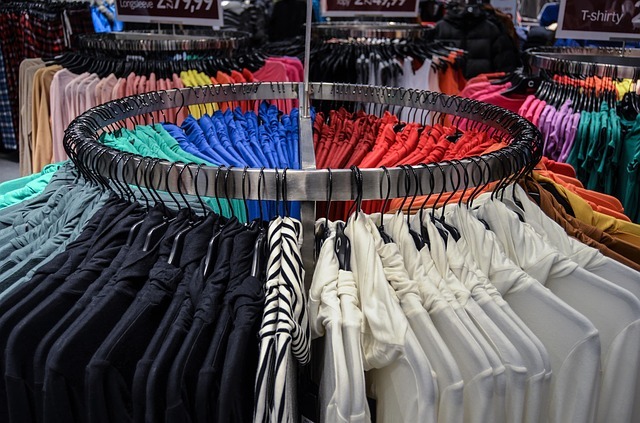 When you look for a bag, think of the types of clothing that you have in your wardrobe. A classic bag works best if you have a tendency to wear clothing that is more traditional. However, if you are a risk taker in terms of fashion, look for a briefcase that is more cutting edge to be sure that it will match your overall look. 4. Choose your color well. 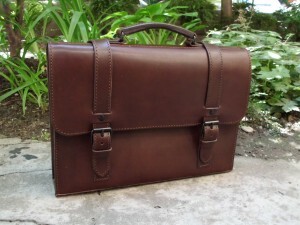 In general, a neutral briefcase color such as tan, brown, navy, gray, or black is a better idea. The bag will be a better match for most of the clothes you wear when you have one in a neutral color. That way, you will not have to worry about your outfit and briefcase clashing with each other, no matter what you are wearing on a given day. 5. The briefcase should meet many functions. The main reason to purchase a briefcase is to be able to carry your things with you inside a handy case. That’s why functionality is the final and most important consideration. You need places to store your cables for charging your devices as well as pockets for your tablet or laptop. In order to keep people from accessing your documents, consider a briefcase that has a way to lock up the case for more privacy. In addition, consider one that has a strap to easily carry your briefcase over the shoulder. The ability to this is vital if you tend to walk a lot during your work day or will commuting. In addition to these functions, think about other features that you think would make a briefcase work better for you. Start shopping for your briefcase only after you have considered which features you need and the style you prefer. You will increase your chances of finding one that is perfect for your needs. Saving money is only the first step to becoming financially independent. It is good to save money, but if you let it sit in the bank, it’s not going to bring you any additional revenue, as interest rates are extremely low and even negative in most cases. This is why you have to think about investing in something in order to secure your savings on long term. 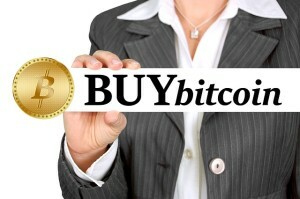 One of the most trendy ideas today is to purchase bitcoin. This virtual currency has some advantages that could make it very enticing for investors. On the other hand, nobody knows how it is going to evolve, so betting on it can be quite risky. If you think about investing some of your savings into it, you should inform yourself very well about its advantages and drawbacks. Bitcoin is very new, but at a first glance it’s going to revolutionize the way we think about money. It doesn’t depend on any central bank, thus being independent from foreign exchange currencies fluctuations. Additionally, it isn’t subject to inflation, because there’s only going to be a limited amount of bitcoin in circulation ever. When this number is going to be reached, the value of bitcoin can only go up. This is what happens with things that are limited in number. The more the demand is going to increase, in the conditions of a constant offering, the price is going to go up. This makes bitcoin an excellent investment on long term. Those who think about buying bitcoin for using it to pay for various goods and services may need to wait a little longer until merchants are going to accept this form of payment. For now, there are already many shops and online businesses that accept bitcoin, but most merchants are still reluctant when it comes to a virtual and volatile currency like this. Besides, transactions can’t be reversed, so it isn’t possible to cancel a purchase and get your money back into your wallet. There’s another thing you should know if you want to buy bitcoin: you need to have a wallet, which is similar to a back account, but a little more volatile. You can choose to have it installed on a mobile device or a computer of your choice or to have it hosted online, on a certain website. The biggest problem with installed apps is that once you’ve lost your data or your phone, you won’t be able to retrieve your bitcoin, so everything you have is going to be lost for good. This is why you need to always have some backups and store them on a different device, just in case you need them to restore your wallet. As a conclusion, investing in bitcoin can be a good idea. However, you should be careful not to put all your eggs in the same basket, so try to diversify your portfolio of investments. This is how you can spread the risk of losing all your money over night. A wedding is such a big event for any woman. 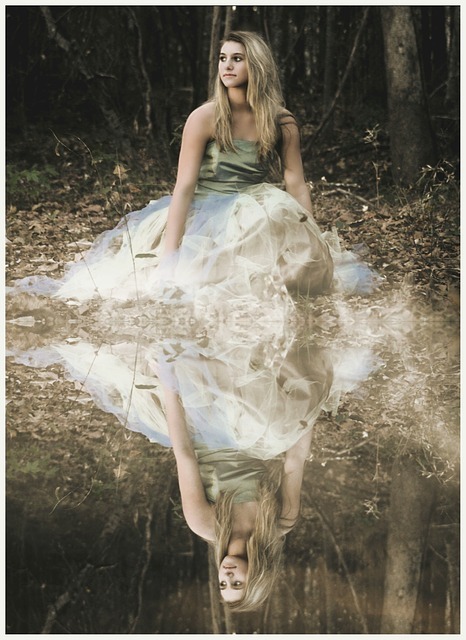 Most girls know what they want to were and look like in their dream wedding right from a very young age. The problem is when finally the big question is popped, things twist dramatically. You have a certain amount of time to piece together everything you wanted for your dream wedding and then suddenly you realize all you have ever pictured was the gown and the colors. You missed out on the tiny bits such as flowers, center pieces, you missed out on basic details that are actually very important. 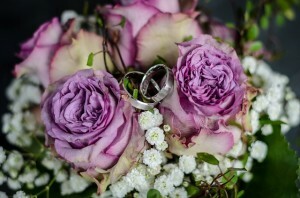 The bouquet is a very important aspect of wedding and you do not really want to imagine a wedding without flowers. Not trusting the florist and being unwilling to compromise. Most brides tend to want to be part of every bit of their wedding arrangement to the last bit which is very natural and expected but then again, there is a way to be part of every bit and there is a wrong way of doing it. For instance, if you go to your florist and give them details of what you want, then it is only proper to trust that they will deliver owing to their long years of experience. You may be in love with orchids but when your florists gives you a different idea. Always be flexible and willing to see their point. Do not dictate through the entire decision because at the end of the day, the joke will be on you. Some flowers may be costly but worth it. For example a cattleya orchid may have more impact as compare to a whole bunch of roses. 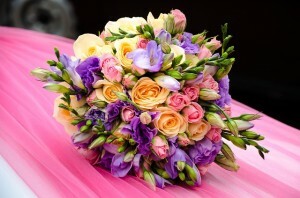 So never think price when thinking bouquets, think, how pretty? Failing to communicate with the florist. 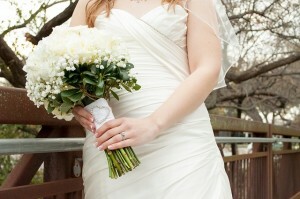 The florist would definitely ask you as much as they can; theme colors, favorite flowers, reception appearance and so on. The florist would want to simple get an idea of how he or she can organize pieces to make them look exquisite. If there are things you like and you fail to bring them up, it would not be their fault if it does not come out as you wanted it. Always remember to focus on both sides, what you want and what you do not want. Well, you have your dream dress in mind, you go to the best tailor in the world and designers and it is custom made for you only for you to pick the largest bouquet of flowers to compete with it. Picking a large bouquet does not make your bouquet stand out. Just have a well sized bouquet and it would work for the best. Do you have to attend an event where it will be necessary for you to wear a formal dress? While you may be very excited about going to the event, you are probably worried about how much money you will have to invest in order to get a new dress that will impress everyone who looks your way. Before purchasing the most inexpensive dress that you come across, you should think really hard about the style you are most interested in. Do you want a dress that will totally cover your legs, or are you interested in a short dress that has a modern feel to it? It should all depend on which one will flatter your body type the most. While length is important, there are other factors that need to be considered as well. Are you interested in a strapless dress that will accentuate an attractive necklace. If a strapless dress is really not your thing, a v-neck, one-shoulder or a-line dress may be a better choice. The style that you decide to get should depend on how much you want to be covered up while you are attending the event. After you have deciding on a length and neckline type, you should begin considering different styles and colors. There are inexpensive, formal dresses out there in all shades, including dark reds, bright yellows and neutral shades like white and black. Is there a particular color you think looks great on you? If there is, you should choose a dress in that shade. All dresses out there are no solid colors. There are many dresses that are a mix of colors. Many prints and designs are actually quite beautiful. You can even find options that have lace on them. While you are looking through all of the available options, there may be a number of them that interest you. If your goal is to stand out, it may be best for you to consider a bold print and/or bright colors. On the other hand, solid colors are a good choice for people who want to keep it simple. After looking at many of the dresses that are available, you should be able to find one that is just perfect for the event you are planning to attend. Before you go on the Web to select a dress, you should take your measurements. You must do this to ensure that the dress you buy will fit your body perfectly. The best way to figure out your size would bet to get a tape measure and wrap it around your hips, bust and waist. After you figure out the correct size, you have to check and see if the dress you want is available. If so, you need to order it right away so you can get it before the date of the event. Once you have the dress on, you will look stunning. Everyone who sees you will have no idea that you got the dress at a low price. In fact, most people will assume that it costs far more since they will not know that you got it online. If you are heading to an event and you are in need of a formal dress for the occasion, you should look at affordable options online. This is better than paying a bundle for something that you will only wear once or twice. Check out more about good options here. If you are an individual who claims to hate beautiful clothes at some very pocket-friendly prices, you are definitely a snob and a liar. With the current state of economy, a smart woman is aware of the need to stop spending on designer clothing and go for cheaper options that still give a decent and attractive look. This is particularly true if you are a lady who works in a place where uniform is not required. Therefore, not unless you are a lady who doesn’t mind rotating four designer outfit combination for an entire year or a trust fund baby, then you definitely need affordable clothing. Koreans are well-known for their stylish, bold and slightly eccentric clothing choices. If you do not reside in a cave, you must know at least one Hallyu star whom you want to dress like. Therefore, if you have one Korean fashion idol, you will be pleased to copy her look slightly mostly because there are numerous Korean fashion stores online. It is important to note that purchasing in wholesale helps alot because of the bigger discounts acquired. Read on further from Esgesee Vogue wholesale clothing supplier in Malaysia. 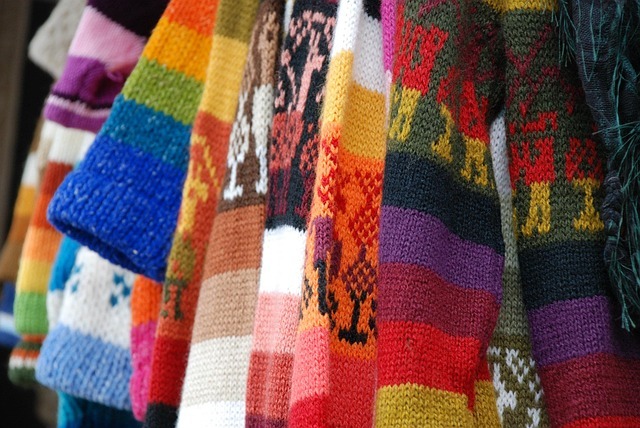 While Koreans pick their desired fabrics and design their own clothing, they look elsewhere when it comes to production. The prefer Malaysia as their preferred option to outsource. It is for this reason that you might want to shop for Korean clothing on a Malaysian online store since Malaysia is the source of most of Korean’s amazing products. Retail therapy is something that a great number of women understand. After a tedious week, a good number of us want to console ourselves with a piece of new clothing. However, the absence of local affordable options leaves us with no option other than shop online where there are limitless options. Bearing that in mind, Malaysian stores selling Korean clothing offer discounts that you cannot resist. We can also say that we like the manner in which their prices are affordable. This makes every page abound with endless possibilities. Prior to making your first purchase with any store, it is important to ascertain that they are a legitimate company. You can check this by searching and reading customer feedback, most preferably those on other websites since companies can easily hire people to leave positive reviews on their website. It is also advisable to join forums that give you the chance to interact with other customers. If you are in a mood and willing to spice and spruce up your fading wardrobe options, you should appreciate the fact that Korean fashion is present in Malaysia. You don’t have to scrimp and save all your funds to purchase designer pieces which tear and wear just like regular clothes. In Korean fashion stores, you can get to enjoy an array of choices for a fraction of what you would have paid for a sophisticated item. 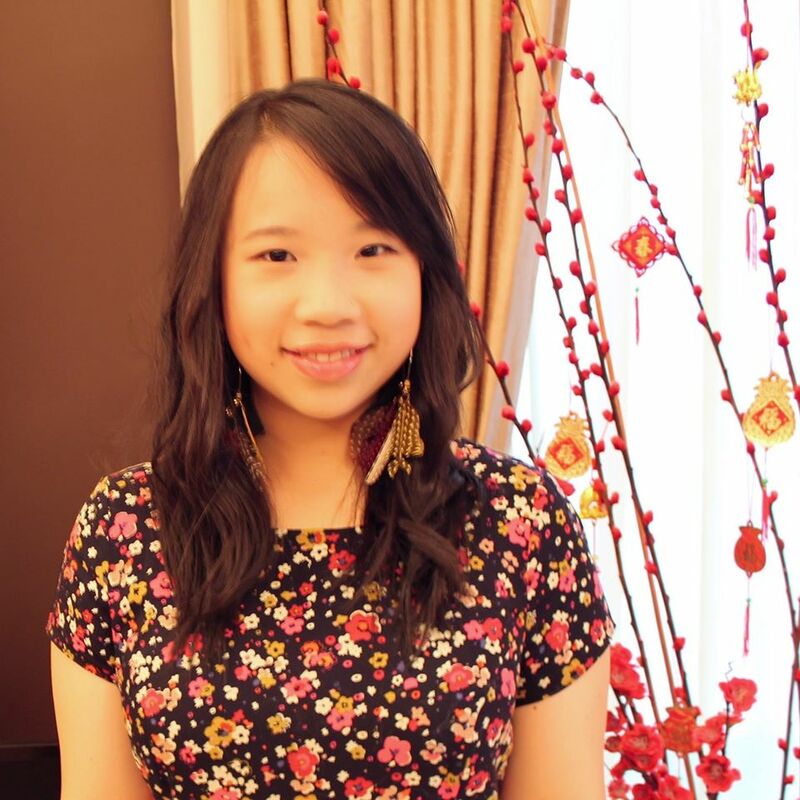 Meet Kaya, Malaysian fashion examiner. She is pretty much in love with most things that shine – the sequin fashion trend lives on forever!! And as expected, she cannot wait for the day that she finally get to experience fashion and what her fashion taste and experience has to offer! !